Subha has spent the past twenty nine years in technology leadership roles at Fortune 500 companies in Chemical, Pharma, Media, Retail, Technology, and HealthCare sectors. He has founded a technology startup, and as its founder CEO, brings balanced business, leadership, and technology experience. 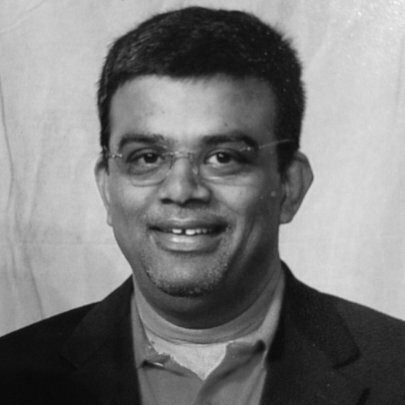 His expertise spans all facets of IT, Marketing, business/IT innovation, strategy, planning, infrastructure operations, architecture, applications, processes, security, governance, management, and business operations. Currently as a senior director of “Innovation R&D” at Customer and Business Experience team to foster/grow customer centric innovation efforts at Cigna. He is a Digital Health professional, evangelist, and practitioner. Prior to Cigna, he was the Staff Vice President of Technology in Innovation Center of Excellence at the CIO office at Anthem, a healthcare giant. Subha oversaw business/IT strategy, planning, and innovative solution architecture for healthcare, customer service, infrastructure, and unified business communication systems. He has had senior positions in five F100 companies: Avaya, A&P, USAI, Cytec & American Cyanamid covering five industries and hundreds of products and markets.